we DO load all textures for all effects right now - this is bug #610, which I was recently reminded about, and am doing some hacking on. This is certainly not helping our performance or memory footprint on lower-end machines since the various textures for highest-quality effects (the water depth shader, bump maps, reflection maps) are all being loaded. It’s also making startup / reset slower. — James Turner (Apr 1st, 2014). Re: [Flightgear-devel] Towards better scenery rendering. we want to avoid writing explicit deletes as much as possible, as that need is the source of most memory leaks. We have two classes for smart, referencecounted pointers, osg::ref_ptr and SGSharedPtr which should be used for all long-lived, shared objects. — Tim Moore (Sat, 19 Jan 2008 02:40:21 -0800). Re: How can I retire from the forum?. it also opens up a larger question of how we do memory management in FG, and whether we should be doing things such as more aggressively freeing up terrain tiles. At one level, removing entire terrain tiles from memory earlier if memory occupancy becomes a concern would be a better management strategy than just stopping generating new buildings. — stuart (Aug 24th, 2012). Re: Random Buildings. In general I’d rather not see any raw pointers as class members unless they are truly weakly-referenced, and in that case I’d prefer they were to an SGReferenced via SGWeakPtr. BTW for C++11 folks I’m aware auto_ptr will go away but that should be a search-and-replace refactoring. — James Turner (2015-05-14). Re: [Flightgear-devel] Major problems with the AI traffic system. Another goal is to add more node bits (and a GUI dialog to control them) so various categories of objects can be disabled during the update pass. This will mean the direct hit of, say, AI models vs particles vs random trees can be measured. Of course it won't account for resources (memory, textures) burned by such things, but would still help different people identify slowness on their setups. — James Turner (Jul 19th, 2012). Re: [Flightgear-devel] Rendering passes question. 3.2 switched the base-package scenery to the high-resolution (i.e. memory-intensive) version, with the result that FG on default settings hangs my system (4GB memory, Intel graphics, no swap). that automatically adjusts to the hardware, but haven't yet got around to this. — Rebecca Palmer (2014-09-01). Re: [Flightgear-devel] Download size, and hardware support (was .dds textures). old used memory isn't being freed, and often causing an out-of-memory hang/crash. Is this a known issue? — Rebecca Palmer (2014-09-04). [Flightgear-devel] Large memory leak on Reset. FlightGear currently has a large increase in memory usage on Reset (tested with c172p@...: 1.6GB -> minimum during reset 1.2GB -> probably-out-of-memory system hang at 2.0GB), but when I tried to trace this problem using AddressSanitizer's leak checker, the (many) leaks it found were much too small to explain this. — Rebecca N. Palmer (2015-03-25). Re: [Flightgear-devel] Detecting circular-reference memory leaks. I was using some local hacks into SGSharedPtr to detect these issues when working on the reset code. Memory use at the ‘bottom’ of reset (after everything has been freed / references dropped, and before we start re-creating stuff) should be substantially lower than what you’re reporting, so indeed it sounds as if a circular reference has crept in. — James Turner (2015-03-25). Re: [Flightgear-devel] Detecting circular-reference memory leaks. I was almost at the limit of available swap space, I had to add a temporary swap file for fear of running out of virtual memory and thus getting a crash. (Would have sucked after 6 hours of flight). As I said, I was up to 7GB but I use a 64 bit system. People with 32 bit machines would run into trouble much earlier, typically at 2 or 3GB already. — Csaba Halász (Apr 13th, 2011). Re: [Flightgear-devel] OSG caching. 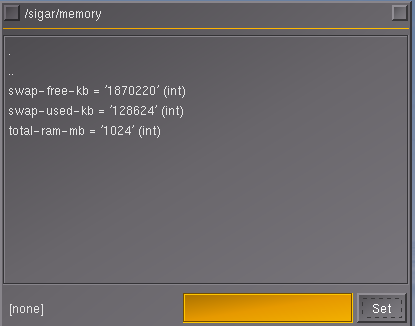 I've done some initial measurement to identify potential memory leaks in SimGear. Detection was limited to execution of code covered by unit tests. — xDraconian (2015-03-24). [Flightgear-devel] SimGear Memory Leaks. A simple proof-of-concept is now working properly, while it is currently restricted to Linux-only OS for RAM tracking, and NVIDIA GPUs for VRAM tracking, the corresponding stubs for other operating systems and GPU vendors are prepared and waiting to be filled in over time. If you are interested in helping with this, you are invited to get involved - for the time being, it would help to have people involved with access to other operating systems (namely, Windows and Mac OSX), as well as different GPU makes (ATI/AMD and Intel primarily). People wanting to get involved, should ideally be able to patch & build FlightGear from source, so that we can exchange patches and integrate things step by step. The mid-term idea here being to expose relevant system metrics to the FlightGear property tree, so that these can be internally used for benchmarking/feature-scaling purposes, but also for regression testing - for instance, any metrics exposed to the property tree can be trivially accessed using built-in means, such as Logging properties (CSV), which would in turn make it possible to create diagrams using gnuplot for different startup/run-time configuration (think minimal startup profile or Rembrandt vs. ALS etc). At some point, we're also hoping to leverage off the patches from Initializing Nasal early to determine how much individul subsystems are adding to overall RAM/VRAM load during initialization, and especially during Reset & re-init. Using the "GL_NVX_gpu_memory_info" extension from Nvidia's OpenGL API, Hooray has been able to expose video memory information, which was tested initially on a GT540 mobile edition card successfully. In an effort to make this extendible for other GPU's, we inherit a GPUInfo object for each vendor's implementation. Testing for other GPU's will be required in the future. system and GPU video memory exposed to the property tree(Nvidia-only for now). Maybe the GLX_MESA_query_renderer would be of use?Regards,EdwardEdit: This is where I heard it: Phoronix: GLX_MESA_query_renderer Extension Published and [Mesa-dev [RFC] GLX_MESA_query_renderer]. — bugman (Aug 27th, 2015). Re: Looking for people with ATI/AMD GPUs building from sourc. How to get the GPU memory size and usage in OpenGL? Despite many FlightGear users now using FlightGear on 64 bit operating systems with sufficient RAM (8+ gb), since early 2010, we've been seeing an increasing number of end-user reports due to errors along the lines of Open GL - out of memory error, Warning: detected OpenGL error 'out of memory' at after RenderBin::draw(..) as can be seen in countless forum discussions, mailing list postings and bug reports in the issue tracker. This effort is intended to help expose process-specific metrics (e.g. RAM/VRAM utilization) in the FlightGear property tree, so that this information can be used for troubleshooting purposes, but also for benchmarking and feature-scaling. — hamzaalloush (Aug 25th, 2015). Re: Looking for people with ATI/AMD GPUs building from sourc. we can now also begin tracking RAM/VRAM utiliation for each initialized subsystem (think reset/re-init), which will help identify "rogue" (broken) subsystems, so that these can either be fixed/optimized or made entirely optional. In addition, it would become possible to track complexity of different locations/aircraft using different startup/run-time profiles.Obviously, this could easily be the foundation for any kind of "benchmark", but also for actual feature-scaling, to dynamically adjust certain simulator settings based on things like RAM, VRAM, CPU or Nasal/GC load, while allowing content developers (those doing scenery/aircraft) to look "behind the scenes" (e.g. to help optimize aircraft like the 777 or extra500). — Hooray (Aug 25th, 2015). Re: Looking for people with ATI/AMD GPUs building from sourc. In its simplest form, it will merely tell you RAM/VRAM utiliation for different startup/run-time settings, so that the impact of -for example- using different aircraft/locations (or weather systems) can be compared in varying situations. Equally, this would allow us to grow a library of startup/run-time profiles and compare the memory footprint for different hardware (think graphics cards).Such a library of startup settings could be grown and maintained as part of $FG_ROOT - at some point, this could even include scripted flights (think route-manager driven, and/or replay/fgtape based). 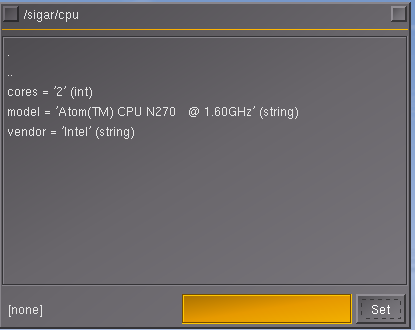 It would be great to write subsystem-specific RAM usage info to the property tree, so that it can be shown (i.e. in the performance monitor), but also used by Nasal scripts to scale down features dynamically - the degree of swap usage vs. amount of free RAM is probably one of the most important metrics here. We also don't know much about aircraft/model complexity, it would surely be a good idea to track the ram usage for each loaded model and write it to the property tree, so that we have some metrics and can actually see how much of an impact MP aircraft have. To be brutally honest, FG is simply dumb here - it doesn't even know how much real RAM you have, or if the OS starts swapping to disk (which is dead slow), also FG doesn't know how much video ram (VRAM) you have. These are things that can be fixed, and they need to be fixed first, prior to adding more and more memory-hungry features. Seriously, it's like spending a ton of money each day, without knowing how much you have available - what we're currently doing isn't much different actually. We are adding more and more features, but we have zero clue as to how expensive they really are, because we're lacking the instruments to track resource usage properly. Adding RAM/SWAP usage, e will tell you how much RAM FG is consuming, and if it starts swapping. Next, we would need to track RAM usage per subsystem (or feature). We could also then configure a "cap" to stop allocating RAM, unless RAM is also freed. That's then touching the realms of "feature scaling" and resource management. Currently, we only care about frame rate and frame latency (spacing), i.e. how long it takes to create a single frame. We are unaware of other resource usage like RAM - which needs fixing, simple as that. FG is being developed by power users (developers) who tend to have extremely powerful computers, I am guilty of this as well - we do not typically test our new features on less powerful hardware (or even just old computers, or netbooks). Which is a huge problem for people who do not have access to the latest hardware. The problem mentioned on the forum (v2 scenery) is a good example for this: nobody noticed that there was a bug in TerraGear that caused the created scenery to use massive amounts of memory - it was tracked down by the atlas developer, by coincidence, because he was loading the scenery into atlas, and saw the number of UNNECESSARY triangles created by TG. Now, this is a just a symptom - and it will be fixed during the next scenery build, but it goes to show that we DO have a real problem here, because nobody really looks at memory usage until there really is a problem - and in this case, we would probably still not know about it, if it wasn't for atlas and its developer. That said, OSG has quite a lot of "clever" machinery to help with memory management, at least with all the rendering-related stuff. For "problems" like excessive ram usage with random buildings and random trees, there are well-defined "standard" solutions available in OSG - but for many others, there aren't any. So rendering-related issues can be obviously addressed by using what's provided by OSG. Thus, the issue is real two-fold: some subsystems making excessive usage of RAM, and others leaking lots of memory. Probably, that would justify introducing a dedicated "memory management subsystem" eventually - i.e. something like a new/delete replacement that uses the boehm/weiser GC to manage resources dynamically, or a custom memory pool implementation using "placement new" for subsystems and other code allocating memory. Manual memory management in C++ is always extremely tedious and error-prone, especially in non-trivial projects with a long history and lifespan. Stuart:I think it also opens up a larger question of how we do memory management in FG, and whether we should be doing things such as more aggressively freeing up terrain tiles. At one level, removing entire terrain tiles from memory earlier if memory occupancy becomes a concern would be a better management strategy than just stopping generating new buildings. Turns out, the latest stuff (master branch) already has cmake support, so is really straightforward, and lightweight, to build. For now, I have built the whole thing out of source and installed it system-wide. However, like you said, it would probably make sense to directly absorb this into $FG_SRC. This means, that you'll get tons of useful information with just ~15 lines of C code. So, I am probably going to focus on replacing the hard-coded Linux stuff in the patch with the equivalent SIGAR code, because that stuff is multi-platform, and provides much more, better, and much more accurate information, too. You can see a plethora of unit tests here: https://github.com/hyperic/sigar/tree/master/tests Some of those could be directly useful in FG, too. 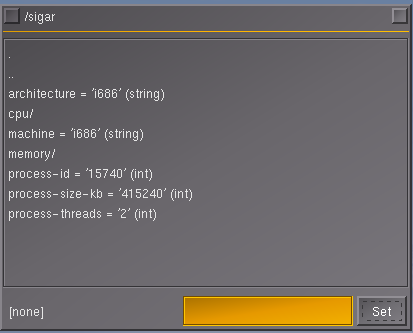 The required cmake changes can be seen in the CMakelists.txt file in the sigar source tree. Note The following FlightGear startup profile assumes that you have a $FG_ROOT environment variable set up, or that you are explicitly setting fg-root using the --fg-root command line argument, this startup profile is intended to be put into your Fgfsrc file or to be used when starting FlightGear from the command line. TheTom: "I don't think we should track every bit of allocated memory. This could become very slow and there already exist special malloc/new implementations to track every allocation. Probably a good start would be have a closer look at the obvious locations like scenery, models and the property tree. I think the memory used by Tiles, Objects, and PropertyNodes should give already a good first picture (I expect the property nodes only to use a small fraction of the memory used by Tiles/Objects). Maybe it is also able for Vertex/Texture data to get the memory used on the GPU." Having access to internal RAM usage statistics would definitely be useful - and probably help us improve subsystem further. And enabling/disabling a potential allocation-block could also be implemented through a boolean property then, which the system sets automatically once certain heuristics apply - which would not even need to be implemented in C++, it could just as well be a property rule or a Nasal script. The C++ code just needs an option to be told to stop allocating new objects, while ensuring that it publishes internal stats and writes them into the property tree. Exposing internal RAM usagee stats to the property tree would still seem useful, especially for people wanting to make bug reports, or even just for dynamic "feature-scaling" using Nasal and/or XML-Property Rules. Thus, I feel that even just replacing the SG_LOG() statements with SGPropertyNode->setStringValue(...) would be a good move, as it would help people looking "under the hood" of the system, so to speak. And like I said earlier, being able to control the behavior of the system (even if that just means disabling/enabling allocations) would definitely be useful to see if segfaults/crashes reported by users can even be remotely related to the new system or not. If we had this option now, it would be much easier for us to provide support to the users here seeing "OpenGL out of memory" errors. It would be worthwhile to keep this in mind and possibly really come up with a subsystem that monitors FlightGear's RAM usage at configurable intervals of say 1-5 seconds, and dumps all the info to the property tree, where it can be further processed by Nasal scripts or GUI listeners. If it's really swapping that slows down or kills FG for so many people, we obviously need to prevent it - and having access to real time memory usage stats would definitely seem useful then - not just for the random buildings system, but also all other subsystems that may "over-allocate" and run into swap space. Thus, even just having a boolean "/memory/swap/is-swapping" would be useful, because other subsystems could monitor it using a listener and then adjust their own allocation behavior dynamically. As can be seen in the original discussion, we specifically talked about subsystem-specific RAM usage tracking (random buildings, canvas, autopilot, replay/flight recorder etc) -analogous to ThorstenB's system monitor, just with a focus on RAM (memory). Possibly via some custom smart pointer implementation that overloads new/delete - the main issue being that we really need a way to track memory usage per subsystem, so that we can identify "rogue" features - either to fix them, or to provide hooks for feature-scaling purposes. For Nasal space, we pretty much have a working solution that could help us identify scripts that are causing lots of new naRefs or temporaries. But C++ code is a different beast, and as can be seen in many discussions here - we have quite a few people with >= 8gb of RAM seeing crashes on 64 bit OS due to "out of RAM" errors. So after the 3.0 release, we should probably investigate how to track RAM per subsystem/feature and provide some "live" stats. Here's a first stab at a simple subsystem to monitor FlightGear memory usage on Linux at 5 second intervals, consider it a "proof of concept" prototype now. +#  SIGAR_INCLUDE_DIR - where to find SIGAR.h, etc. +#  SIGAR_LIBRARIES   - List of libraries when using SIGAR. +#  SIGAR_FOUND       - True if SIGAR found. +# SIGAR support a lot more platforms than listed here. // Add the performance monitoring system. The error is related to your fgfs running out of memory (but not your gpu memory)! This will happen with detailed aircraft or detailed scenery. Custom scenery like the one from papillon81 repo will cause this happen realy quick. Using a detailed plane like the 787 from omega makes it worse. This happens without any eyecandy activated! And we've even be seeing people reporting "memory issues" despite having 12+ gb of RAM . — Hooray (Sat Aug 16). Re: Open GL - out of memory error.. This page was last modified on 19 November 2015, at 17:56.